Awarded 4 Stars by the English Tourist board. 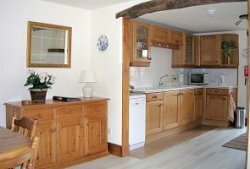 This peaceful cottage in the tiny rural hamlet of Field Broughton has been recently renovated as part of a barn conversion, to provide all modern conveniences, whilst preserving it's charming character. 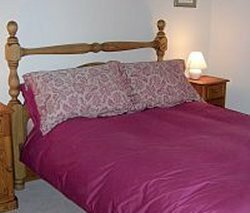 The comfortable self-catering accommodation provides ample living space for up to 4 people. Comprising of 2 spacious bedrooms, one double, one twin, both fully carpeted. One bathroom. Fully fitted kitchen with separate dining area. 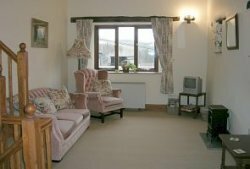 Spacious lounge with original oak beams. The cottage also boasts a private patio area, perfect for al fresco dining. All personally maintained by the owner to the highest standard. 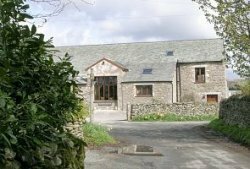 The property offers fabulous views of the Cartmel valley, and is central heated through out. Sorry, the property is not suitable for children under 5 years.